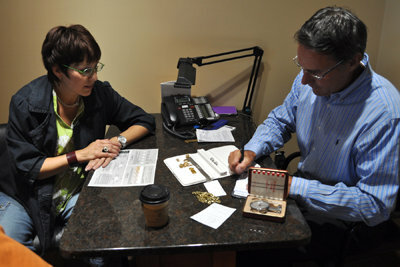 Russell & Ballard is here to help you with your diamond selection. We offer over 60 years of expertise and provide you with the diamond education you need to make the right choice. Russell & Ballard stocks hundreds of diamonds but has access to over 30,000 diamonds. If we don’t have exactly what you are looking for in the store, we can generally get it in a week. Most of our diamonds are Gemological Institute of America (GIA) and European Gemological Laboratory (EGL) certified. Start educating yourself by reviewing our Diamond Education information.